Fred. Olsen River Cruises has launched its new 2020 programme on smaller, more intimate Brabant, with 26 tempting itineraries, covering 43 ports of call. In 2020, Fred. 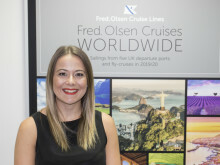 Olsen will be introducing 10 maiden calls on board 156-guest Brabant, in five brand new areas, showcasing the beauty of the Rhine, Moselle, Main and Danube, across six countries. 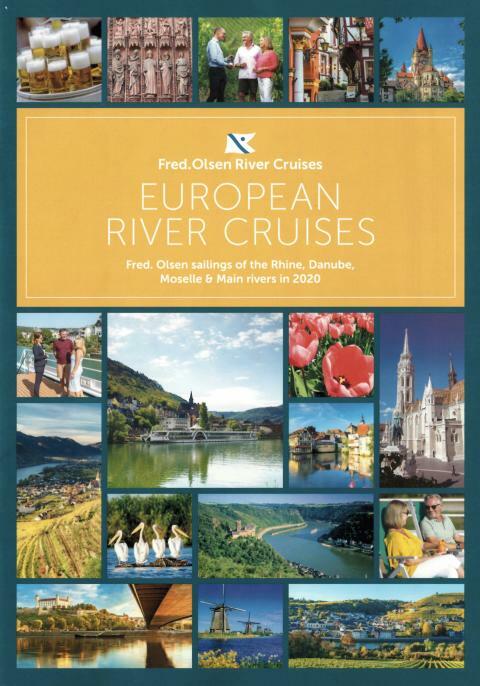 New for 2020 are maiden sailings into Luxembourg, taking in stunning Grevenmacher and Remich – where few other river ships venture – as well as scenic cruises of the Danube Delta, with other inaugural calls to: Trier and Nierstein, in Germany; Cetate, Galați and Dobreta-Turnu Severin, in Romania; Donji Milanovac, in Serbia; Enkhuizen, in The Netherlands; and Vukovar, in Croatia. Notably, every Fred. Olsen river cruise will incorporate plenty of daytime scenic cruising, so that guests can enjoy some of Europe’s most fantastic scenery – with 14 areas of scheduled scenic cruising included across the itineraries. “We enjoyed a very successful inaugural season on Brabant in 2018, but we recognise that we have to build on this first river cruise programme, and learn from our experiences, in an increasingly competitive market. As such, we have been working hard to create a range of even richer, more immersive itineraries to enable our guests – both existing and new – to make memories to last a lifetime, both on board and ashore. Brabant guests will also benefit from the introduction of a new enrichment programme in 2020, with almost every sailing featuring a knowledgeable onboard speaker, tailored to the specific itinerary and cruise highlights. Experts in various disciplines will share their knowledge of architecture, wildlife, military history and much more, as Brabant sails to the many places where the speakers have worked, lived or studied, helping to give guests an exceptional, unforgettable holiday. This new onboard enrichment programme includes John Hughes, from the Royal Horticultural Society, on Brabant’s Spring sailings through Holland, and wine expert Martin Ward, who will welcome guests on board, as they travel through Germany’s world-renowned wine region, along the Middle Rhine and Moselle Valley. Each itinerary will also offer an optional shore excursions package, which – for the set price of £200 – includes five shore tours, relevant to the specific theme of the cruise, from discovering iconic landmarks to sampling local tipples. - 14-night R2007 ‘Eastern Europe Discovery to the Danube Delta’ fly-cruise (flights from London / Manchester), ex Budapest, Hungary on 31st May 2020. Prices start from £2,899 per person. Follow the mighty Danube all the way down to the Danube Delta, rarely visited by river ships, to witness the birds and other wildlife that inhabit the area, accompanied by accomplished naturalist Chris Bielby. Experience time-honoured traditions and treasures, such as Serbian music and dancing, and taste authentic Hungarian Paprika. - Seven-night R2016 ‘Sailing the scenic Moselle to Luxembourg’ fly-cruise (flights from London / Manchester), ex Cologne, Germany on 9th August 2020. Prices start from £1,699 per person. This route, sailing all the way down to Luxembourg, is one rarely taken by river ships. Spend time in Remich – the ‘Pearl of the Moselle’ – and marvel at the twin-spired Gothic cathedral and Ehrenbreitstein Fortress in Cologne, accompanied by Professor Andrew Hopkins, internationally recognised for his architectural knowledge. - Seven-night R2023 ‘Historic Gems of Germany’ fly-cruise (flights from London / Manchester) on 27th September 2020. Prices start from £1,599 per person. Cruise the magnificent Middle Rhine Valley, pass the ‘murmering’ Lorelei rock, and uncover centuries of history in the winding streets, impressive monuments, half-timbered houses and pristine gardens in a number of picture-perfect Germany towns and cities, accompanied by art and architecture expert, Simon Rees. 110-metre-long Brabant boasts all the usual hallmarks of Fred. Olsen’s 'closer’ approach to cruising. Stylish, classic and comfortable, Brabant has everything that guests will need to make their holiday a memorable one: from bright and spacious public areas, to well-equipped bedrooms and ample deck space, from which to enjoy the superb views. With just four decks and fewer than 80 rooms and suites, staffed by 40 crew members, Brabant has the smaller-scale ‘country house hotel’ feel that Fred. Olsen’s guests know and love. Fred. Olsen guests – who are predominantly British – will feel at home on board Brabant, with English spoken throughout and all transactions conducted in Pounds Sterling. British taste is also reflected in the cuisine, customer service, shore tours and ‘home from home’ comforts on offer.